I’m not sure where I heard that, but once I did that statement reminds me to not just look ahead, but behind and up and left and right. And then do so again from a higher or lower level. 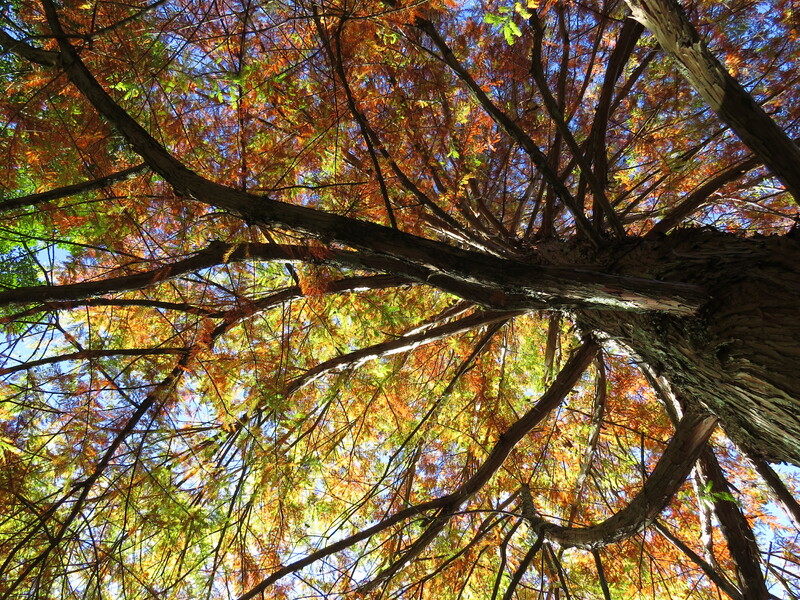 I love the look of this fall tree that looked very pretty in its colors looking at it straight on, but was more beautiful (to me) from directly beneath looking up.